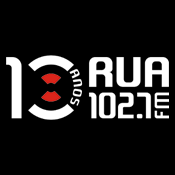 RUA FM live broadcasting from Portugal. They broadcast various kind of music. It is locally broadcasting popular radio station for that area. A station that is inserted in the generalist segment of university service. As an organ of communication, it aims to serve the community in which it is inserted, always based on respect for the principles of ethics, deontology and law, without any discrimination, as well as for the good faith of the listeners.